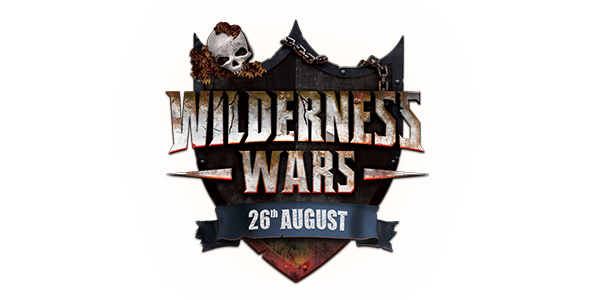 We'll be at Insomnia61 with a brand new tournament: Wilderness Wars! Join us on Saturday 26th August 3pm UTC at twitch.tv/runescape for some Wilderness mayhem. Wilderness Wars will involve 245 soldiers led by 5 Generals. The Generals, leading their armies of 49, will possess incredible power with their combat skills significantly buffed allowing for the destruction of any soldier that get in their way. Starting off in a random area of the Wilderness, these five armies will battle it out for victory and a chance at the $15,000 prize pool! Since announcing the tournament on Sunday, we've seen our Generals recruit the best pkers and clans in Old School to their teams. With rumours spreading about which army has Monni, or which General has RoT, they're preparing for a war like no other. With the whole of the Wilderness being multi-combat we're guaranteed to see some incredible battles between these armies. 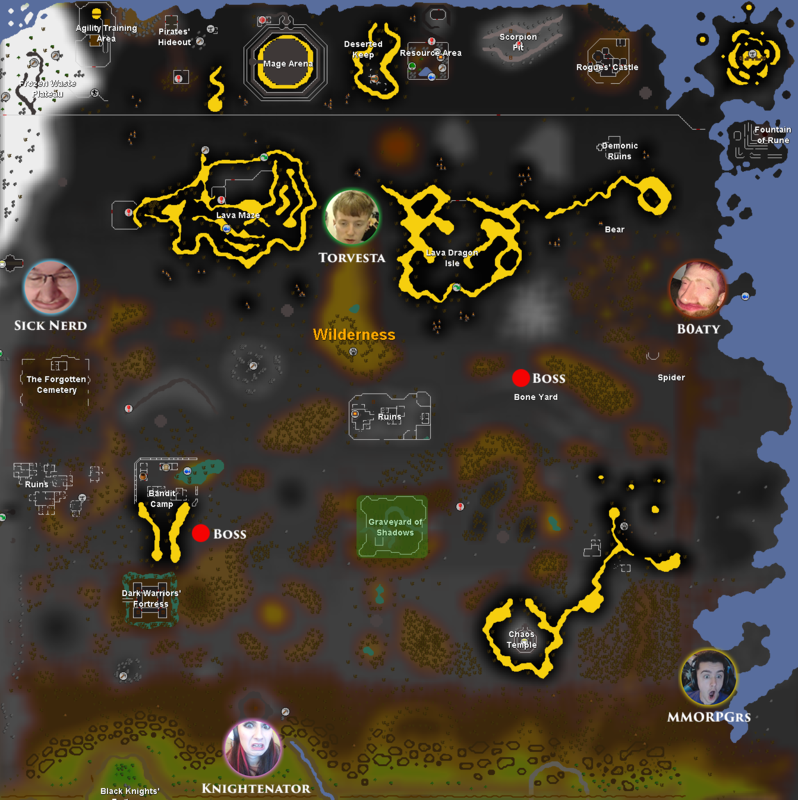 To ensure our General's have time to prepare their strategies, we've decided to make one small change to the way the bosses will work within the wilderness. Instead of spawning in bosses with special drops, we will instead be starting the tournament with two enraged bosses which will both have their own unique mechanics to challenge our Generals. One of these bosses will upgrade armour whilst the other will upgrade weapons. When a boss is defeated it will grant that team an upgrade to their worn items only, the weapons/armour received will replace the existing worn items with the new upgraded ones. Armies should think about what weapon or armour they're wielding when the boss falls, to ensure they're not upgrading their least preferred item(s). We've moved the boss location to ensure equal distancs for each team. In addition the Graveyard of Shadows will now have 4 entrances instead of two. $5,000 for the last General standing. $2,500 for each confirmed General kill (4 x $2500 = $10,000). Similar to killing a player in the wilderness, the player that gets the kill confirmed message of: 'You have defeated General 'Name', a Wilderness Wars champion!' or 'General 'Name', a Wilderness Wars champion, falls before your might! ', will win $2,500. If a General dies to a boss or any other NPC, this prize money will be added to the jackpot of the last General standing - do not underestimate the bosses! We'll be live on the Player Stage at Insomnia61 from 3pm UTC (4pm BST) and also on twitch.tv/runescape. Hosted by Mods Archie and Sween, and shoutcasted by PureSpam and Skiddler, Wilderness Wars is guaranteed to be exciting, chaotic, and unlike anything you've seen before in Old School.